Ships today if you order in the next 12 hours 3 minutes. Mitochondria are considered to be the engines in every ones of your cells. Your mitochondria and cells are responsible for producing healthy energy, and to do so, they need CoQ10 (also known as ubiquinone). 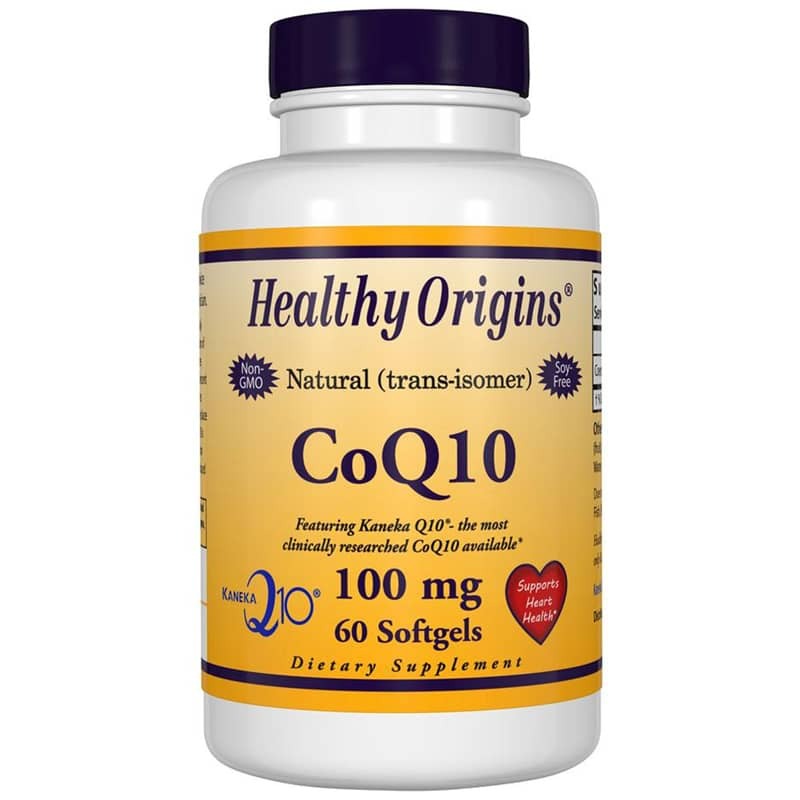 CoQ10 is naturally produced in your body, and its production is at its peak when you're at a younger age. As the aging process sets in, CoQ10 production begins to decline, making supplementation important so your body maintains healthy levels and can produce energy regularly. 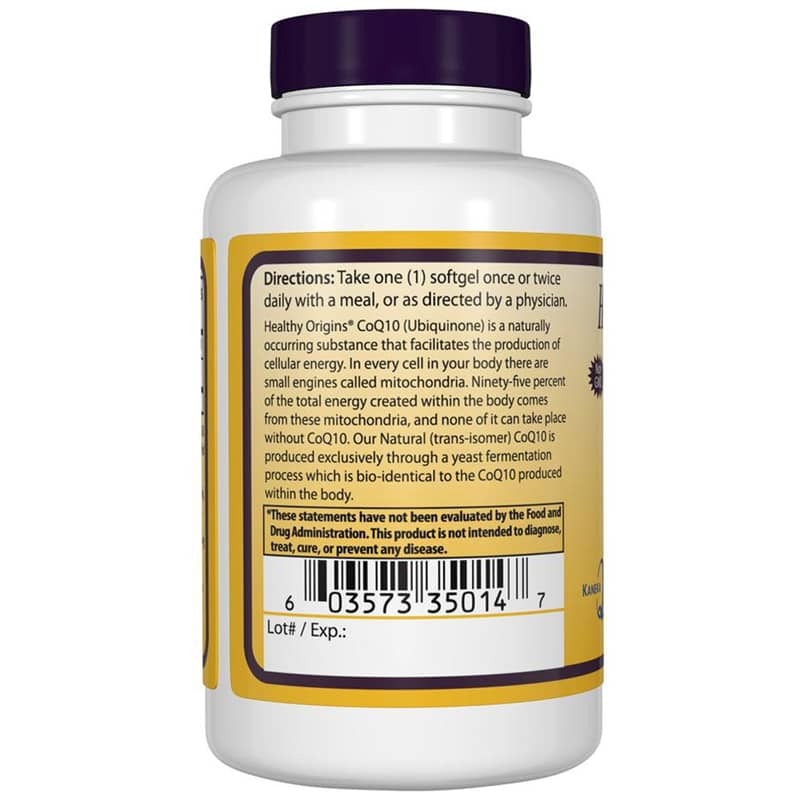 Healthy Origins CoQ10 Gels provides your body with 100mg of all-natural CoQ10 without any GMO ingredients or any of the most common food allergens. 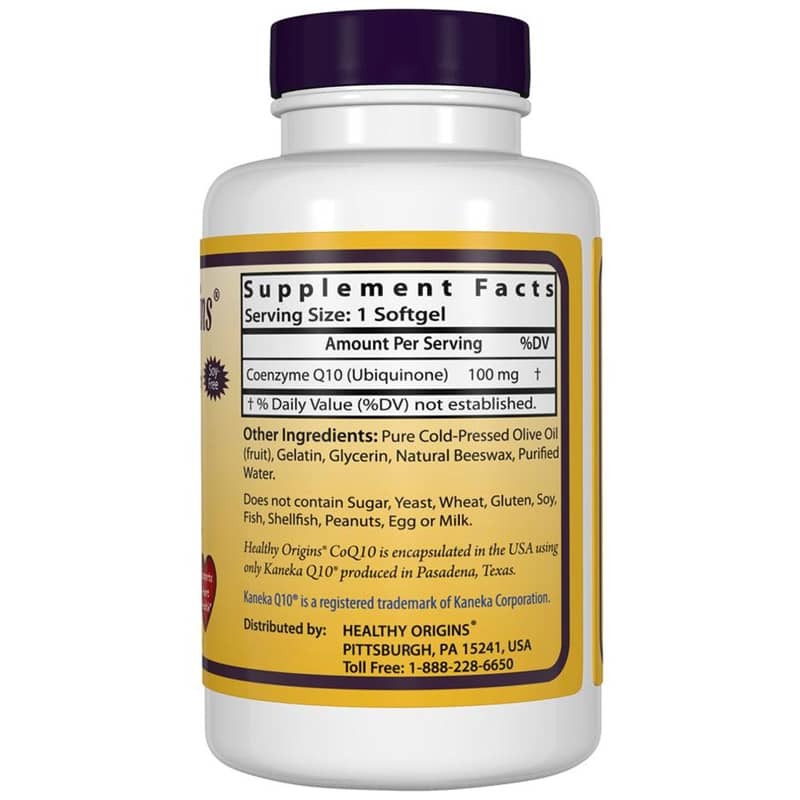 CoQ10 Gels from Healthy Origins come in an easy-to-swallow softgel form and are easier for your body to assimilate. Just one softgel every day helps improve your health and keeps your CoQ10 levels where they should be. Make the choice to ensure your body is creating proper amounts of cellular energy. CoQ10 Gels from Healthy Origins help keep your blood pressure and cholesterol at a healthy level while also facilitating energy production. Give them a try today! Other Ingredients: pure cold pressed olive oil (fruit), gelatin, glycerin, purified water, natural beeswax. Contains NO: GMOs, sugar, yeast, wheat, gluten, soy, fish, shellfish, peanuts, egg, milk. Adults : Take one (1) capsule once or twice daily with a meal, or as directed by a physician. It's almost impossible to get a soy-free CoQ10, but Healthy Origins offers this one, and it's great! This CoQ10 seems to be the best value that I have found. It has helped - thanks Natural Healthy Concepts! I have been taking CoQ10 for approximately six months. I am very active and this supplement has made a difference. I have my husband taking it as well. As a fitness instructor, I highly recommend this supplement.